Writing success for older learners. 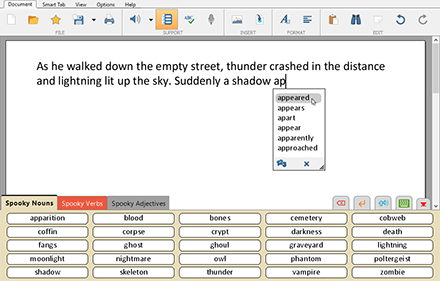 Help struggling writers overcome barriers to progress with DocsPlus – our exciting new writing tool for middle and high schools. DocsPlus gives students with high incidence special needs the support they need to independently tackle curriculum writing tasks. It can also be used by many learners who require additional access arrangements for tests and exams. Organizing ideas is a vital first step in the writing process. 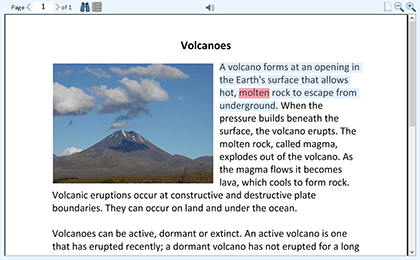 DocsPlus provides students with built-in planning support tools to help them prepare for writing. 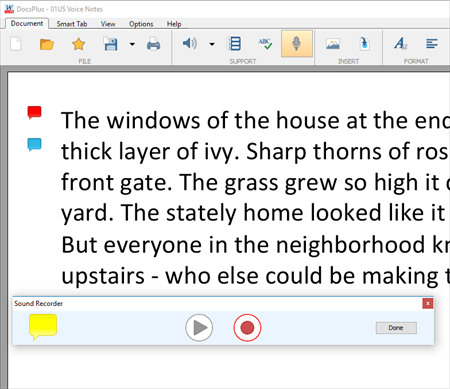 The DocsPlus Voice Note tool gives students the opportunity to record their own audio notes before they write. Simply click on the microphone icon and start recording. Once you've finished, a speech bubble icon will automatically be added to the document. Students can click on the icon to listen back to their note, and also have the option to re-record it as many times as they like until they are happy with it. 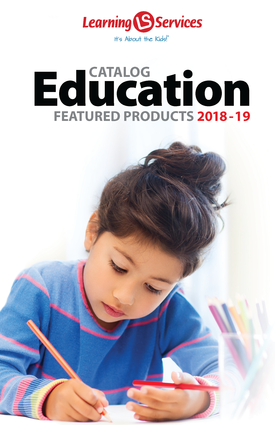 Voice Notes offer a powerful way to record initial ideas, giving students who struggle to express themselves in written form an opportunity to capture their thoughts without being distracted or held back by the mechanics of writing. You can add up to six color-coded Voice Notes to a document. Your students may find it useful to create a Voice Note for each section of their document, creating an audio essay plan to refer back to as they write. Struggling writers often find essays much harder to organize and structure. Problems such as a short-term working memory deficit, or slow information processing speed, can make it very difficult for them to express their initial thoughts and ideas in the form of a logical, flowing document. 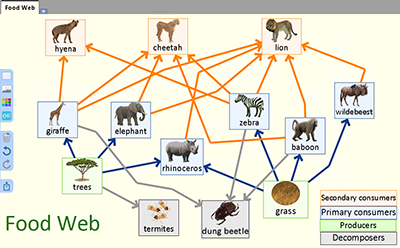 Students can use the WorkSpace tool to create their own mind maps, manipulating and linking any combination of words, pictures, and sounds. To add text, just drag in a shape from the objects palette and start to type. Drag and drop pictures right in from your folders or via your web browser. Students also have the option of adding Voice Notes to their mind map. All of DocsPlus' support features are available within WorkSpace. Listen back to your text with the speech tool, use the word predictor to help find the right word, and correct any spelling errors with the help of the talking spell checker. Ready to start writing? 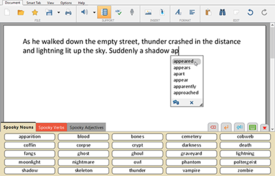 Students can instantly transform their mind map into a word bank that will sit at the bottom of the document as they write, providing instant point-and-click access to key vocabulary, sentence starters, connectives, etc. The bank will mimic the structure of the map, helping students to organize their paragraphs and transfer their ideas to the page in a logical order. 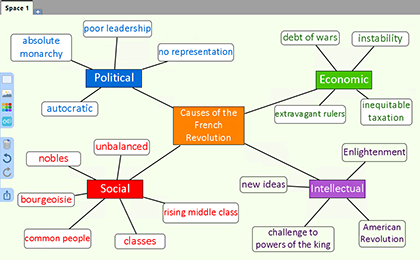 You are also able to send your mind map straight into the document as either an image or an essay outline. Standalone and network installers are included. The network installer creates a unique network package to deploy to workstations. It is compatible with standard Windows/Mac networks. Installation instructions are provided here.